BUY QUALITY GPS MADE BY Shenzhen Coban Electronics Co. This Tracker was specially made for vehicles. It's a new product based on the GSM/GPRS (850, 900, 1800, 1900MHz) network and satellite positioning system. It sets multiple functions such as real time positioning,security, monitoring surveillance, emergency alarms and tracking in its entirety. There is No subscription fees involved, No contract to sign. All you need is an activated pre-paid GSM SIM Card from a provider such as AT&T or T-Mobile. Make sure you get a standard (Mini) SIM Card. Movement and Speed Alert:The tracker can warm you with SMS message when the vehicle starts to move from a stationary status, or when the vehicle is moving faster than a preset speed. 19. Check the Vehicle State. 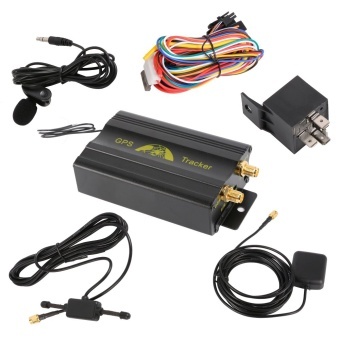 it is based on GSM/GPRS (850/900/1800/1900MHz) wireless telecommunication internet and GPS. satellite global position system, track by several ways. Provide monitor software and global map. Real-time track through the monitor software in your piece. Track through your PDA cell phone, Google earth or on a map with our bundled software for real-time location tracking.